What’s it like to sail on a Carnival ship? USA TODAY’s new cruise review site, VacationCruisesInfo.com, offers a glimpse this week in a new in-depth review of one of the line’s vessels, the Carnival Spirit. At 65 pages, it’s the most extensive appraisal of the 10-year-old Carnival Spirit ever to be posted online, and it includes more than 1,000 photos showing nearly every interior and exterior space of the ship. Overall, the reviewer gives the recently refurbished Carnival Spirit high marks, noting it “largely delivers good value for money,” though not everything about the ship drew praise. One complaint: There’s too much of a hard sell. 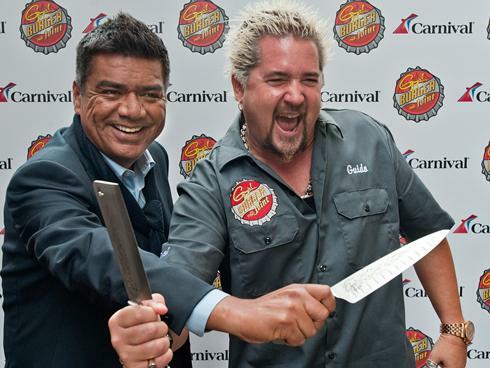 Carnival Cruise Lines’ new partnership with comedian George Lopez kicks off today with the opening of a Lopez-branded comedy club on the Carnival Miracle. Carnival Cruise Lines' new partnership with comedian George Lopez kicks off today with the opening of a Lopez-branded comedy club on the Carnival Miracle. The Punchliner Comedy Club presented by George Lopez, as it’s being called, is a concept that eventually will go fleet-wide as part of the line’s massive “Fun Ship 2.0” overhaul announced late last year. Carnival announced in October that it had tapped Lopez as its new “curator of comedy” in a partnership that will see the comedian involved in vetting and hiring comedic talent for Carnival ships. The new Carnival comedy club will offer five 35-minute shows on multiple nights during each voyage, with at least two comedians performing each night. Two early-evening shows will be aimed at families with later performances featuring saltier, adults-only comedy. 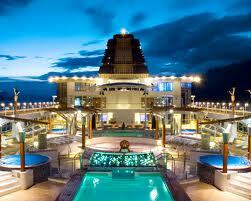 The shows are accessible to cruisers at no extra charge.